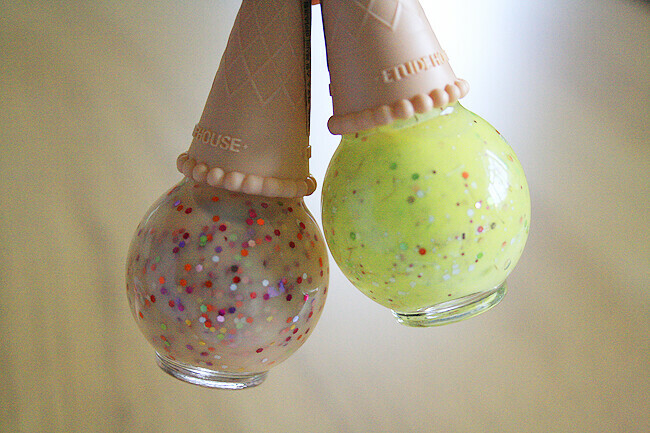 I am an absolute sucker for anything with cute packaging, and these polishes are a prime example of that. I found these whilst browsing eBay a few weeks ago and i fell in love with them straight away as i'm sure you can imagine. It was really hard to narrow them down but i thought i'd get the ones i'd most likely wear when we eventually have our summer! I love these polishes, for the price they're really durable and are very true to colour. Easy to apply with days of no chip! Now where's the sunshine..?! Do you like these? Which colour will you be purchasing? Wow! Were they good? Do they chip loads? Really caught my eye! 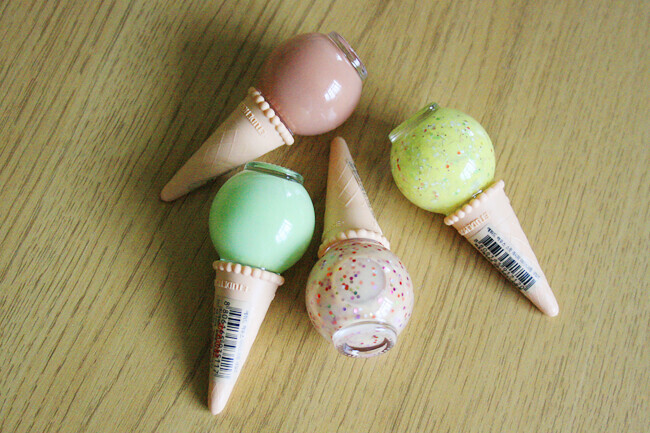 OH MY GOD these are so cute and making me want ice cream right now haha! I really like the colours aswell :D Great post! 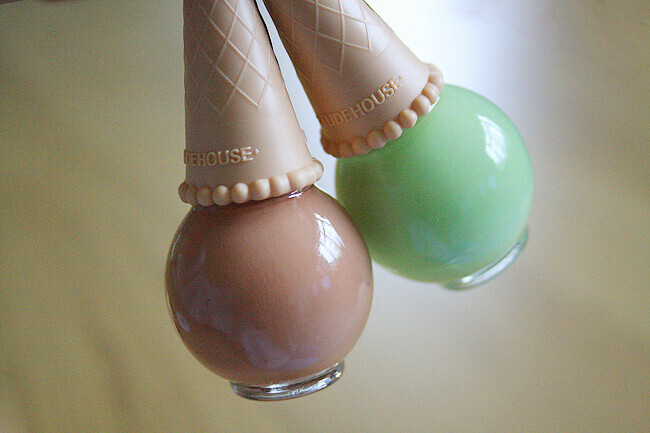 I love these Etude House's polishes! My favorite's the blue-based speckled one - reminds me of a dino egg! Oh my god these are amazing, never seen such awesome packaging! I LOVE the speckled ones, may just have to treat myself. How adorable! I'm an absolute sucker for packaging too - I want! The packaging of these nail polishes is so CUTE! AHH, I love it! These are so cute! The minty coloured one is lovely! these are too adorable! Love them! Those are really cute. I just wanna eat it. How cute is the packaging, LOVE the green one! so gorgeous! i truly love the bottle design and colours! Super cute, def checking them out now! I'm definitely gonna end up investing at some point! 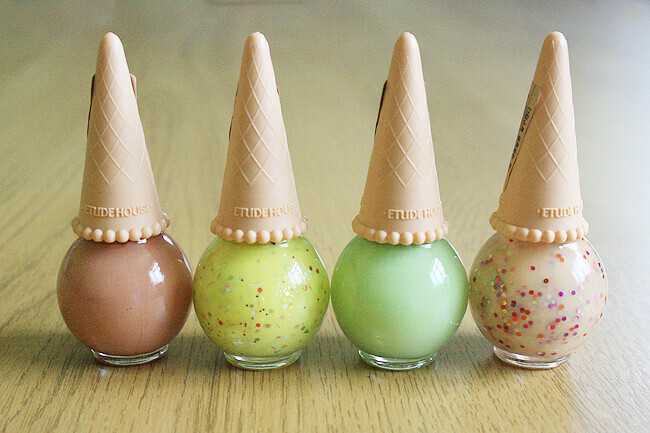 Such pretty novel nail polishes! The price jump from solid colour to speckle is a little unnecessary i think. But they are so cute nonetheless. And the price is fab! I would buy these just for the packaging ha! Oh c'est trop choux :) c'est quoi la marque des vernis ? Lovely shades, the packaging is adorable as well! So quirky! Wow, well aren't these polishes just a little bit special - the packaging is super duper pretty and original but I would be a tad dubious about the product. These are sooo cute! I have to get my hands on them! Ooh, they look so sweet! I'm about to go browse through the colour selection now! Hi, holy crap! why have i not heard of these until just now. OMG they are soo cool! I will buy some next time i go shopping. Omg those are so cute, im a total sucker for cute packaging too! What brand are these?